"As part of its philanthropic efforts, Apple will also empower local youth with job-training and educational programming," said Max Brown, chairman of Events DC's Board of Directors. "Through this collaboration, Apple's investment in the neighborhood will stimulate additional activity and spending in the area to ensure that the community will continue to thrive." Washington D.C.'s National Capital Planning Commission still has to approve Apple as a tenant due to the building's historical legacy and importance to the city. Apple is expected to begin construction of the store later this year if approved. Apple has promised to respect Carnegie Library's historical integrity. For example, Apple's logo won't be prominently featured on the library's facade or sides. 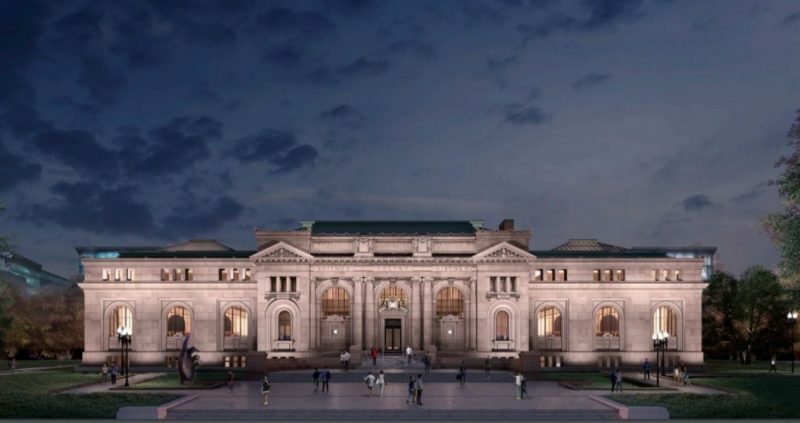 Apple does plan a few changes to Carnegie Library, including a major new skylight, but the company aims for its presence to be as subtle as possible. This seems like a strange location to me. Is there a lot of shopping and/or foot traffic over there? It's across the street from one of the largest convention centers on the east coast, and two blocks from a major shopping and dining neighborhood. Plus, it would be the only Apple Store in DC close to Metro. It'll do very well there. Apple has promised to respect ('https://www.macrumors.com/2017/05/08/apples-carnegie-library-store/') Carnegie Library's historical integrity. For example, Apple's logo won't be prominently featured on the library's facade or sides. Apple does plan a few changes to Carnegie Library, including a major new skylight, but the company aims for its presence to be as subtle as possible. As in, Is a major skylight subtle! 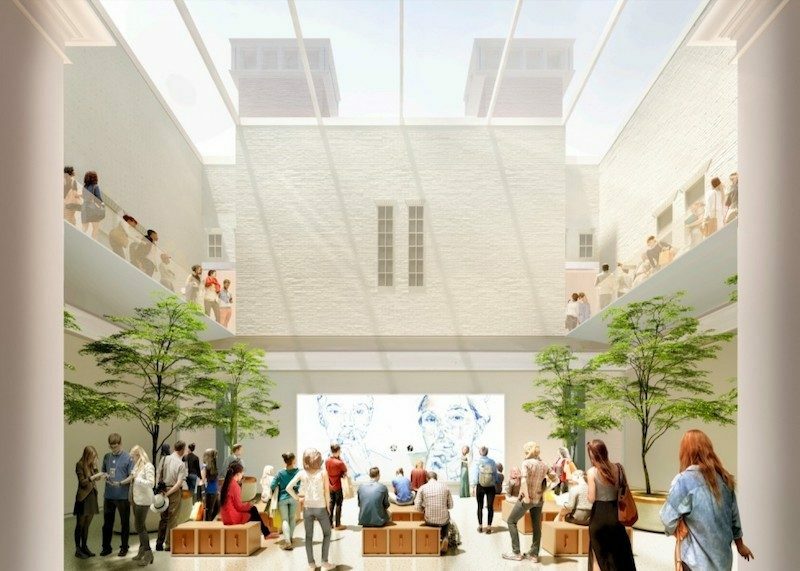 The building has several skylight already and it's pretty symmetrical (one in the center of each wing and two skylights in the center block)... so I'm wondering, do they mean an new 'additional' skylight or a new 'replacement' skylight made to look like the old ones. While I am not that familiar with the DC area, on previous related posts about this site, people say that is is actually an excellent location that will get much traffic. From the picture you don't get that perspective, but from what the DC residents of the forum here say, it is a great location. Yeah, It's a great spot. Right on top of a busy Metro Stop, accross the street from the exceedingly busy convention center, 2 blocks away from where the Wizards and Capitals play, in a busy shop/food/bar scene, on the edge of Chinatown. I don't think being close to a convention center is necessarily ideal. The Georgetown location is close to shoppers, so that's great, but it's inconvenient to commuters and most area residents. Maybe the new location can capture commuters via its metro accessibility. Georgetown is a hellish environment only for tourists and drunks. No one who lives in the area wants to go to a Georgetown store. I worked on the G-town waterfront until recently and would walk up to the Apple store from time to time. It's not so bad during the day, but at night, it's closer to the scene your describing. This should be contingent on factories being built in the U.S.